MUMBAI: Star Plus jumped to the fifth from third position in the Hindi (U+R) genre in Broadcast Audience Research Council (BARC) data for week 5 of 2018. Dangal TV stood at third position from ninth position in the rural market. Zee TV dominated the urban space with its first position in the urban areas. 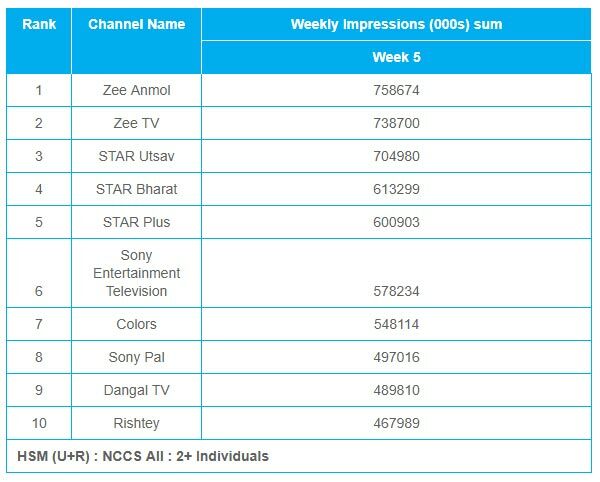 Zee Anmol and Zee TV continued to be in first and second positions respectively. Star Utsav climbed from fifth position to third position. 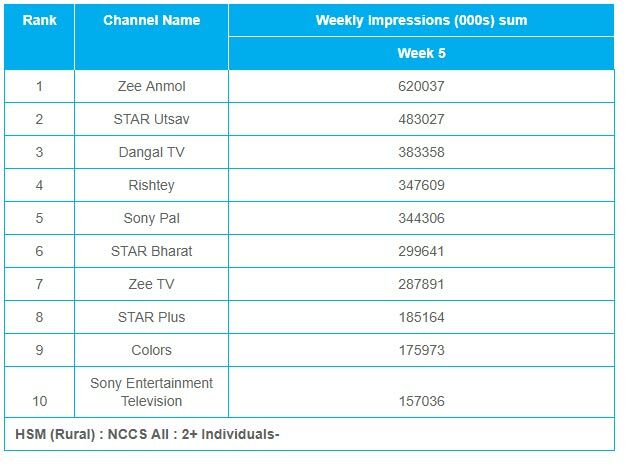 Star Bharat maintained its fourth position. Star Plus jumped to the fifth from third position. Colors and Sony Entertainment Television swapped their sixth and seventh positions respectively. Sony Pal, Dangal TV and Rishtey retained their eigth, ninth and tenth positions respectively. 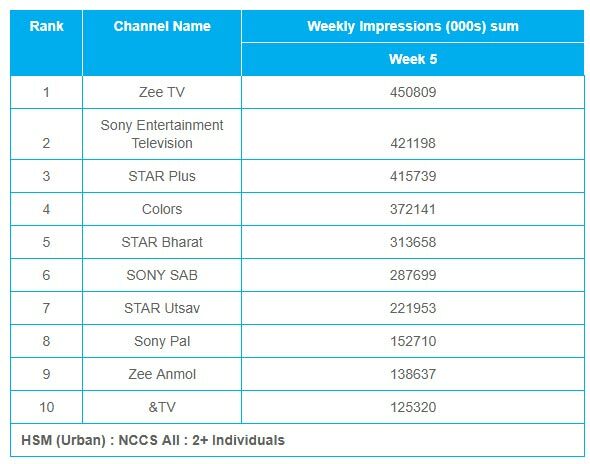 Zee TV dominated the urban space with its first position. Sony Entertainment Television retained its second position. Star Plus jumped to the third position from first position. Colors, Star Bharat, Sony Sab, Star Utsav, Sony Pal, Zee Anmol and &TV maintained their fourth, fifth, sixth, seventh, eighth, ninth and tenth positions respectively.